The National Human Rights Commission Korea said Tuesday that holding young children in prison-like immigration detention centers must be prohibited, revealing that 225 foreign-born children including a 2-year-old were detained in such facilities in South Korea from 2015-2017. “We strongly advise the government to revise the relevant laws to ban detainment of all children in the country, as it can be a traumatic experience for any child, even if it is for a short period,” the human rights commission said in a statement. Some of the detained children in South Korea may have been separated from their families, the agency told The Korea Herald. The 2-year-old girl was detained for 50 days in a detention facility. It is unclear whether the infant was with her parents or guardian while staying in the institution, according to the agency. Although South Korea became a party to the 1951 Geneva Refugee Convention in 1992, the country’s immigration and detention policies have been subject to criticisms. In 2011, the UN Committee on the Rights of the Child advised the country to refrain from detaining asylum seekers and immigrant children without parents or guardians. Last year, the UN Committee against Torture expressed concerns over South Korea’s detention facilities and detaining of migrant children. Overseas studies have shown that the longer children remain in institutional settings, such as detention facilities, the greater their risk of mental-health conditions, such as depression and PTSD. It has been reported that migrant children who have been detained, especially those who were forcefully separated from their families, often refuse to eat, wet their beds and constantly have nightmares. According to Luis Zayas, the dean of the school of social work at the University of Texas at Austin, a child’s brain does not properly develop when it is under constant stress. This, according to the scholar, may result in a lack of problem solving skills and inability to read social cues throughout their adult years. Critics have pointed out that many of the detention centers in South Korea are similar to prisons, and may be unsuitable for children. Detainees stay in enclosed spaces with cell bars and have no or very limited access to phones and the internet, among other conditions. It has also been reported that detainees at times have been denied access to interpreters and forced to sign documents in a foreign language. In 2007, 10 foreign-born detainees who were held at the Yeosu Immigration Office Detention Facility in Yeosu, South Jeolla Province, were killed by fire. At the time, staff were criticized for reportedly spraying fire extinguishers through cell bars while not unlocking cell doors because they were afraid detainees would flee. In April, the Human Rights Commission advised the Ministry of Justice to remove cell bars in all detention centers in the country, and to guarantee internet access and leisure time to all detainees. 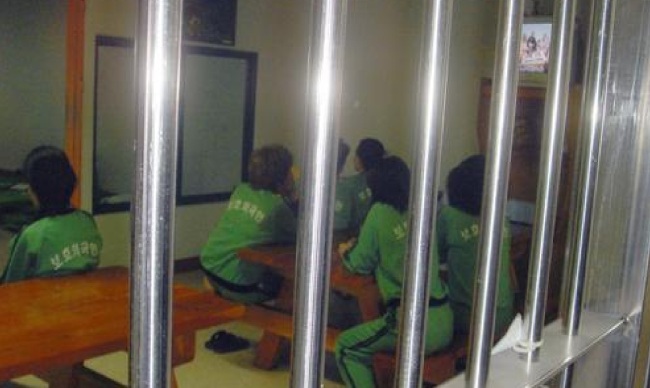 The human rights commission added that detention under a deportation order is currently not subject to time limitation in South Korea, and some detainees are held indefinitely -- some as long as a year or longer -- without being told when exactly they will be released. “We also (ask the government) to revise the relevant laws to make sure that all detention in immigration detention centers have a time limit, so that detainees don’t have to wait and be held indefinitely,” the agency said in a statement.